President Dmitry Medvedev has signed a pardon for Sergey Mokhnatkin, the man who was given a jail sentence for fighting with police at a protest rally, and the only demonstrator who filed in an official plea for pardon. Medvedev’s decree cites humane principles as the reason behind the pardon. Mokhnatkin has already served most of his 30-month sentence. Mokhnatkin was on the list of 32 persons allegedly prosecuted for their political stance that was submitted to Dmitry Medvedev by members of non-system opposition in February this year. In early March, the Kremlin press service reported that President Medvedev had ordered the Prosecutor General’s Office to check into the legality and background of 32 convictions, including Mokhnatkin’s, but the results of the probe have not been made public yet. However, Russian media reported that Mokhnatkin was the only person on the list who officially filed in a plea for pardon, which is a prerequisite of the pardoning procedure, according to Russian law. 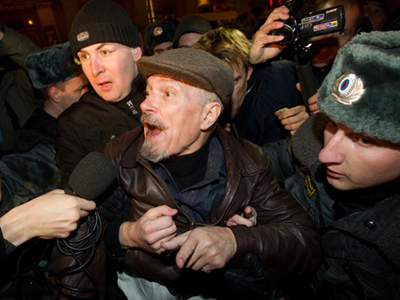 Fifty-six-year old Sergey Mokhnatkin was detained during an unsanctioned rally in Moscow’s city center on December 31, 2009, along with about 60 other protesters. The rally was a part of the so called “Strategy-31” – the movement that pushes for unlimited rights to protests in defense of Article 31 of the constitution. It organizes rallies on the 31st day of months that have 31 days in them. 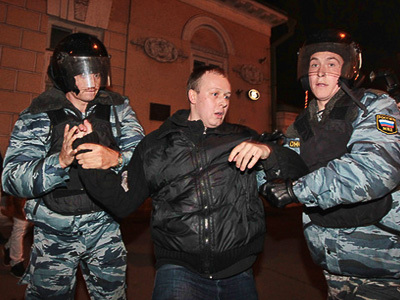 Police claim that Mokhnatkin head-butted a policeman during his detention, breaking the officer’s nose. Mokhnatkin claimed that his presence at the rally was a pure accident and that he had tried to protect a woman who was being detained by police. He never pleaded guilty to attacking police and wrote several complaints saying that police had beaten him during his detention. Eventually Mokhnatkin received a prison sentence for using force against a representative of the authorities. 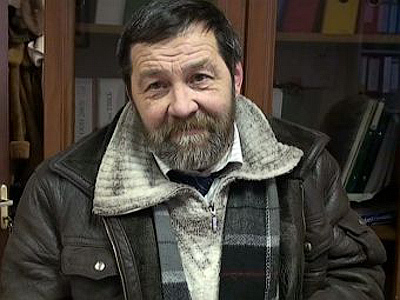 Some opposition figures portray Mokhnatkin as a common man who suffered from the system’s actions. Others claim he is a political prisoner as a representative of Strategy-31. Mokhnatkin’s stay in a penal colony has been closely watched by reporters and political activists, and media regularly reported about his conflicts with administration that ended in punishment from the administration and in hunger strikes from Mokhnatkin.